Under the state penal code, making off without paying a restaurant bill can result in a charge of petty theft. That being a misdemeanor might not seem like much of a big deal to many reading this right now. But in cases where evidence suggests the alleged perpetrator engaged in the activity in a serial sort of way, felony charges of grand theft can follow. And if the government succeeds in making its case, it could mean significant incarceration time. One recent case in the news now serves to highlight this point. The Los Angeles District Attorney's Office states that a 45-year-old man stands accused of 10 felony counts and two misdemeanors stemming from a string of alleged instances of making off without paying. According to authorities, the man took at least eight women he met online on dates to restaurants over a span of nearly two years, sometimes ordering massive quantities of food and beverages. He allegedly then made some excuse and left the dates holding the checks. Authorities say he defrauded the women out of more than $950 dollars - the threshold at which such a crime can trigger felony charges. In this matter, the defendant is facing one count of grand theft, seven counts of extortion and two counts of attempted extortion. Two cases in which prosecutors say the restaurants paid the tabs, misdemeanor charges have been brought. These are serious matters, as are any criminal allegations brought. And anyone arrested and facing charges need to appreciate the severity of the consequences. In this case, prosecutors say the defendant could receive as much as 13 years in prison if convicted on all counts. It is crucial to remember that being charged with a crime is not a presumption of guilt. Indeed, in our system of justice, defendants are presumed innocent and it's the responsibility of the government to prove its allegations beyond a reasonable doubt. 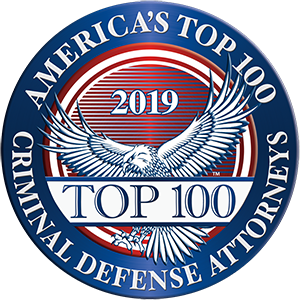 If are suspected of a crime or been arrested, for the sake of protecting your rights, your first move should be to consult an experienced criminal attorney. Related Posts: Are Dabs, or hash oil, or wax illegal?, Protect Yourself From Telemarketing Fraud, Understanding money laundering, Who can refuse the chemical test?